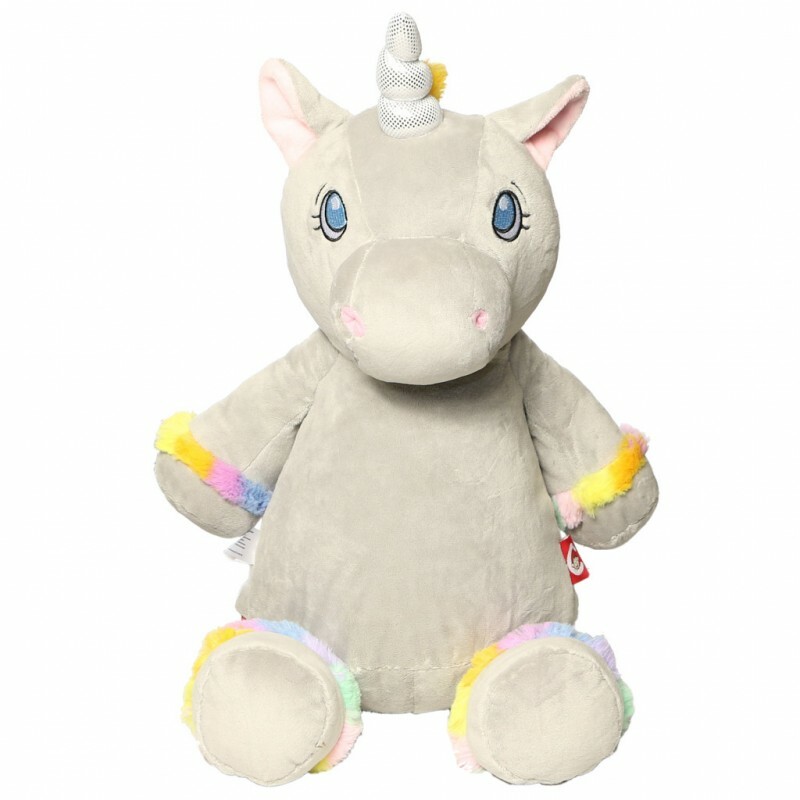 This magical grey unicorn with a rainbow mane will delight any child. A great gift to give to a toddler that they will cherish for years to come. Embroidery is done directly on the tummy.